I am pretty excited that I will be presenting this year at the upcoming Hong Kong SharePoint Conference 2011. An amazing amount of new and exciting features were added to SharePoint 2010 for IT Professionals, a major investment being Server Health and Monitoring Infrastructure. In this session we will look into these features in-depth, focusing on guidance for keeping SharePoint installations healthy and running at peak performance. We will go into detail on supporting features such as Diagnostic Logging, the Developer Dashboard and the SharePoint 2010 Logging Database; illustrating how to successfully use these features and more, to troubleshoot issues quickly and accurately. If you have a production environment running SharePoint 2010, then this is a session not to miss! If you have the opportunity to make it to this conference, I would highly recommend it and tickets are still available! Be part of the very first Hong Kong SharePoint Conference…join us at the SharePoint event of the year! Come along to the introductory sessions to hear real life stories about the University of Nottingham, working with Office 365, governance, social computing and how to create massive user adoption! 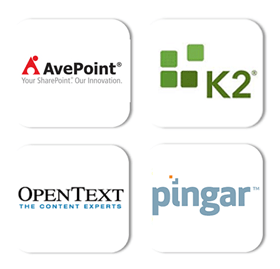 Visualising business data, best practice document management, Project Crescent, and text analytics for search. Learn great tips and tricks from the experts on PowerShell, web parts, development, infrastructure monitoring, migration and more! Experience the power of one of the most sought after SharePoint speakers and learn how you can empower your organisation using SharePoint 2010. Thinking of implementing SharePoint or do you already have it? Either way, don’t make the same mistakes as everyone else around the world! Invest some time to get things done right! Come along to the 2 day Master Class – SharePoint Governance and Information Architecture with Paul Culmsee. Event managed by SPevents, a division of envisionIT (NZ) Ltd in association with the Hong Kong User Group and is run BY the Community FOR the Community.